I've been in Oakland's Fruitvale Bart station many times, but I always enter from the street side, so I never before noticed this place just on the other side, in Fruitvale Village. 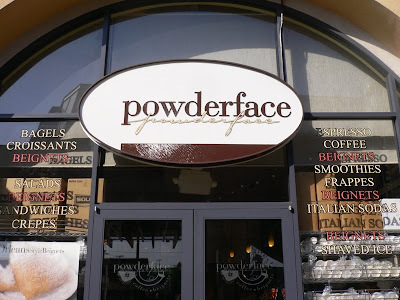 Powderface? 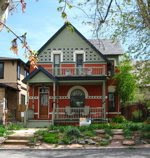 Is it a beauty shop? Wait ... beignets?? Really? Must get some! 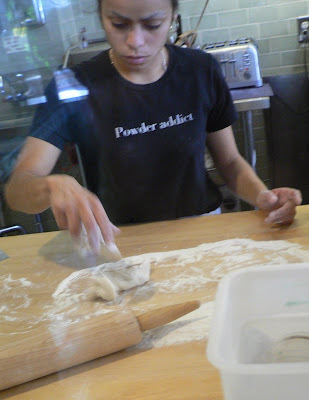 Powderface beignets are made to order. Here's the dough, cut and ready to go. then goes into the fryer. 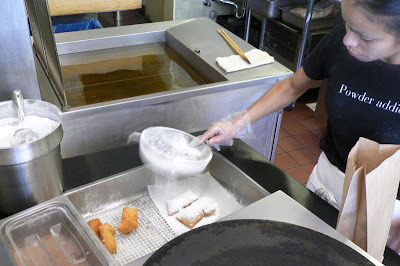 Then from the fryer to the powder. Lots and lots of powder. If you can, you should eat them right there while they're still warm. If you take them with you, you will have to resist the urge to eat them in the car. Seriously, do not open that bag or you will get powdered sugar on everything. When you're ready, you will want to eat them outside or over the sink! They won't last long, trust me. They are very good. And check your face before you go out again. They don't call it Powderface for nothing! I tried making these the other morning....kinda sucked. My dough was too moist, I fried it too long and the shapes were all mix matched. I guess I'll just stick to our Lily's Cafe beignet spot for now. We'll certainly check out this place when we're up in San Fran! Very nice indeed, Claudia. Good thing they're not anywhere near my regular commute! I can't imagine making them myself, Diane! Good for you for trying, though. Do you have a deep fryer? I knew I shouldn't have skipped breakfast this morning! 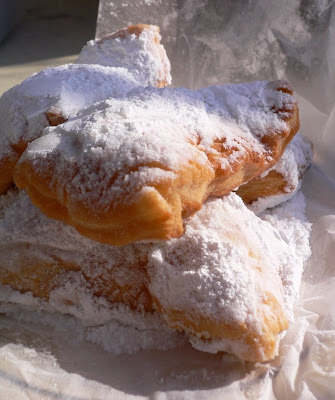 Now I'm seriously craving a beignet! Oh MAN. Who knew?? I have to go there... like right now!!!!!!!!! Why is Powderface in two different fonts on the logo? Are there people who can't read cursive? I am confused. Also freaked out: this is not the only blog that cook eat Fret / Claudia and I post on together. But I do it under another name elsewhere. It's a tiny world. Well, I can't read that cursive. I thought it was just funny underlining at first. Food blogging world? Yes, small. At least among those who comment. I think the number of folks who comment is pretty small, so you see a lot of the same names popping up on different blogs. I really appreciate comments, so I figure other bloggers like getting them too, even if it's just to say, "Looks delish!" And anyone who comments here who has a blog usually ends up in my subscription list, so I will likely comment there on occasion. I love the name of that place! How could anyone resist it? 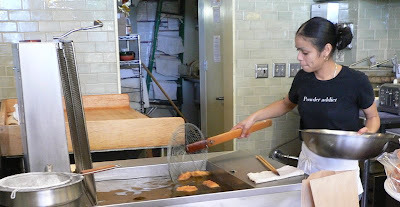 Canada used to be a fried dough lover's paradise but now all of our donut shops are in the sandwich and coffee business and the dough arrives frozen to be baked more often than it is fried. Sigh. I need some of the deep fat fried goodness. "Bûgnes"? Interesting! Similar pronunciation. I wonder if "beignets" comes from Creole.